Often when we look at a piece of artwork, we are only getting part of the story. For me, my experience of a piece is enhanced through knowledge - knowledge of the individual/s who made it and the circumstances in which it was created. Take for example the classic response to non-representational art. That is, to art that is not intended to accurately depict things in the natural world. 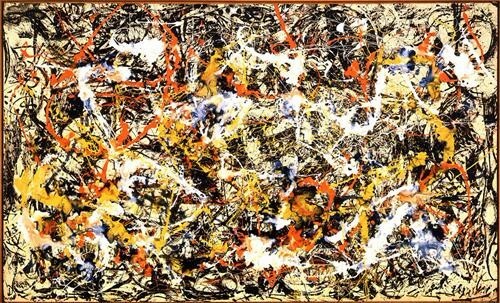 Someone looks at a Jackson Pollock and exclaims, "My kid could do that!" I believe that if most of the who people don't care for Pollock's work at first glance had a chance to hear him discuss it, they would at the very least be intrigued by his story. (Allow me to recommend the 2000 biopic Pollock starring Ed Harris and Marcia Gay Harden.) Gaining some insight into what Abstract Expressionism and Action Painting are all about gave me an more sustaintial appreciatiation for Pollock's work. "I think people can be intimidated by some works of contemporary art, and at Greenhill we work to demystify art through interactions with artists and the curator. One of the great ways we do that is through Artist Talks. For me, I think to really appreciate a work of an artist is learn about their creative practices. 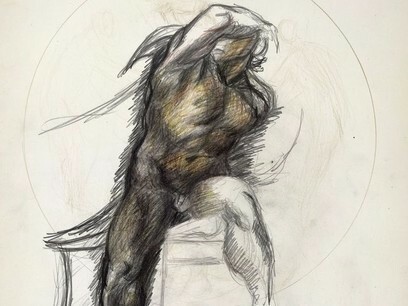 I don't think you need to know what the artist was thinking or what the motivation was around a particular work of art, but learning about the artists, how they approach their creative process, and where they come from gives you insights that you do not have just looking at work in The Gallery." Greenhill's upcoming exhibition Microcosm which opens September 18, 2015 will explore intersections between art & science. Many of the artists exhibiting their work use nanotechnology, such as Scanning Electron Microscopes (SEM), to create their pieces. As nanoscience is not exactly one of my strong suits, I know that our Artist Talk and Roundtable facilitated by both the artists and scientists will strengthen my grasp of the artwork in the exhibition. I look forward to discovering more about Daniel Kariko's portraits of insects aftering hearing about the technology he used to capture them during our first Artist Talk of the exhibition. Art Under the Microscope | A Dialogue with Dr. Kathryn Sheilds and Daniel Kariko will take place in The Gallery on Wednesday, October 15 from 5:30 - 7:30 PM. Carrie Lyn Donley is Director of the Chapel Hill Analytical and Nanofabrication Laboratory, which goes by the acronym CHANL. 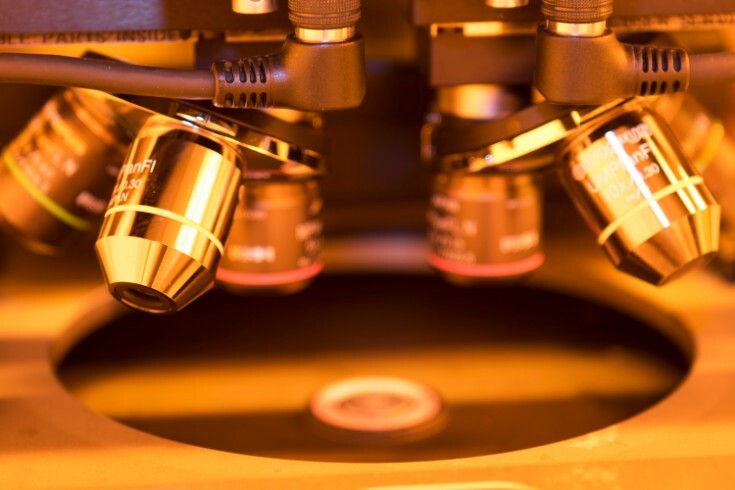 The lab contains specialized equipment that is useful to researchers across many disciplines, including chemistry, physics and astronomy, biomedical engineering, pharmacy, environmental science and engineering, biology, marine sciences, medicine and dentistry. Dr. Michael R. Falvo is Research Professor in the Department of Physics and Astronomy at UNC-CH where he conducts research focusing on cell, biopolymer and single-molecule biophysics. Dr. Dennis R. LaJeunesse is Associate Professor, Nanoscience Joint School of Nanoscience and Nanoengineering, at UNC-G. Dr. Lajeunesse’s research interests include studies in the physical properties and composition of insect cuticles; and using insect models to develop new ways of delivering anti-viral drug therapies. Don't miss these opportunities to enhance your experience of Microcosm and learn something new!